Georgi Popivanov, Kirien Kjossev, Mihail Tabakov, Ivan Inkov, Ventsislav Mutafchiyski. The present work represent a short commentary of the article of Coccolini et al. 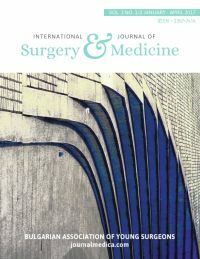 IROA: International Register of Open Abdomen, preliminary results published recently in the February issue of WJES. We provide for a succinct commentary of their article and make certain useful suggestions.